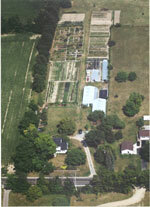 Fieldfarms is a small farm located in Dexter, Mi. We sell our products at the Ann Arbor Farmer's Market from May-Dec., and have been in business since 1994. We also custom grow for local businesses. 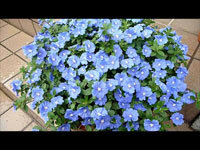 Unique annuals, perennials, heirloom tomatoes, peppers, Proven Winners. Unique metal garden art. Fresh cut flowers and bouquets, fresh produce and herbs. Fresh cut flowers, bouquets, fresh produce, mums and dried flowers. Soaps, bath tea bags, herbal bath salts, fresh herbal potpourris, hand-painted gourds, and dried flowers. © 2014 Fieldfarms. All rights reserved. Designed and maintained by Fieldfarms.